Founded in 2001, we are an industry leader in fabrication and installation of natural stone countertops. Our quality products, dedication to customer satisfaction and reputation in the market sets us apart from the competition. Our showroom has a tremendous selection of quality ceramic, glass, mosaic, porcelain and natural stone tiles. Visit our showroom and see our exotic slab selections that are ever-changing to match today’s latest trends and lifestyles. Gray to pink in color: A very hard, visibly granular, crystalline igneous rock. Typically white with mottlings or streaks of color: A metamorphic crystalline rock. A sedimentary rock composed primarily of calcite or dolomite. A variety of limestone formed by chemical precipitate from hot springs. A sedimentary rock usually composed of quartz cemented with silica, iron oxide or calcium carbonate. A banded variety of the oxide mineral chalcedony. 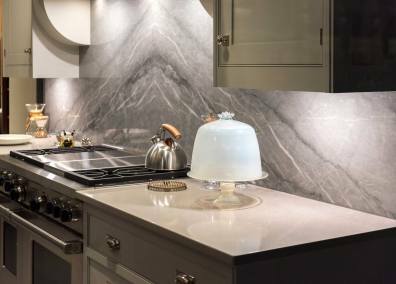 Douro Granite & Marble, LLC will guide you through every step in selecting, fabricating, and installing the perfect natural stone or quartz for your home and commercial project. You will benefit from a consultation with our expert design staff.